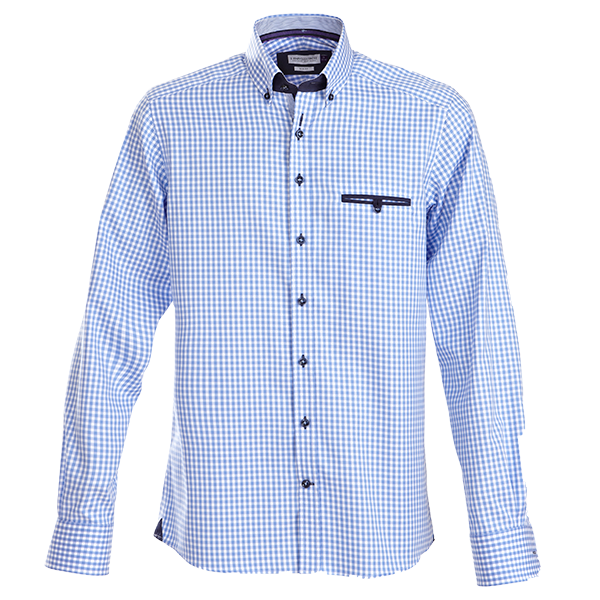 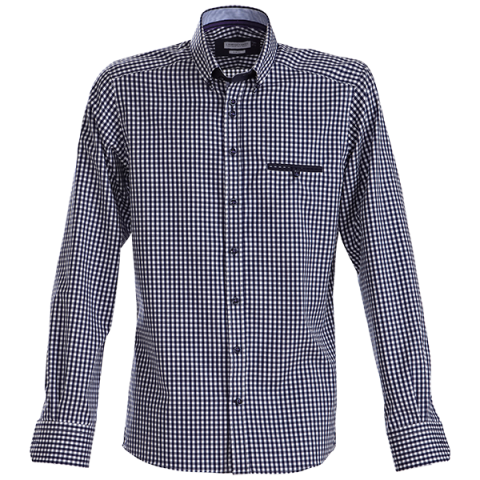 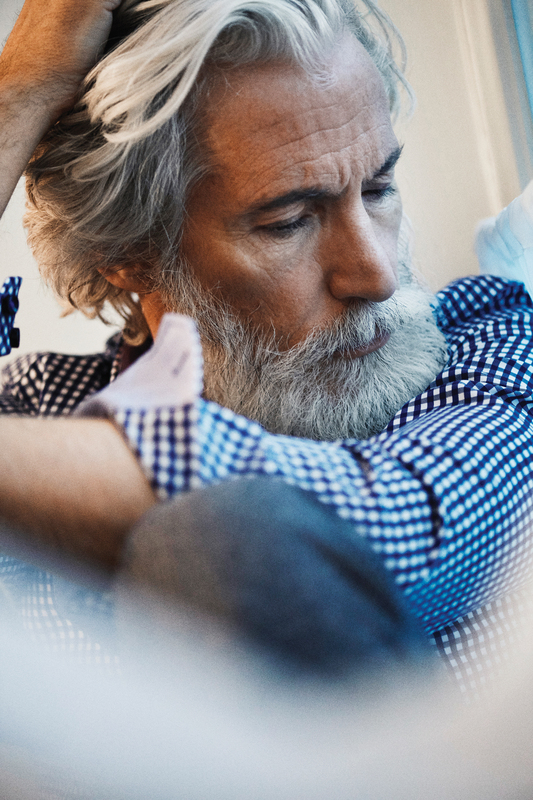 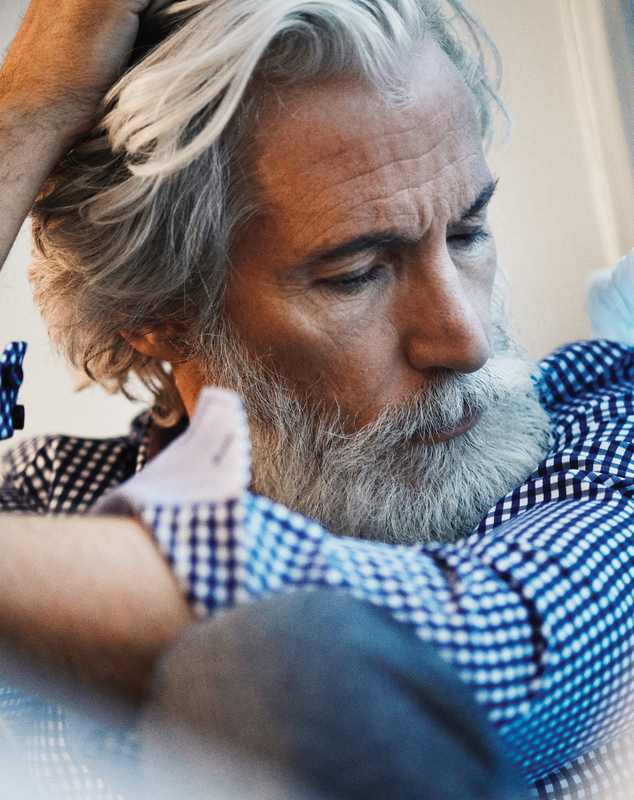 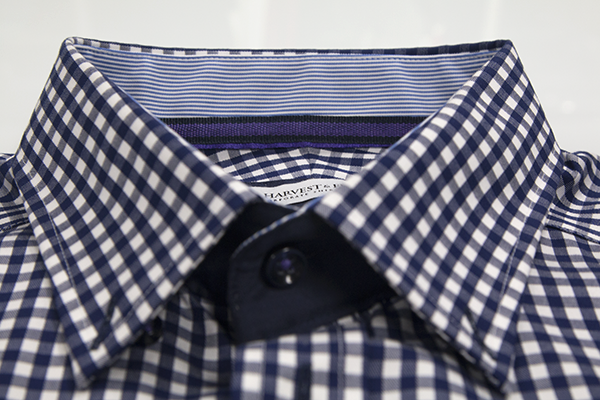 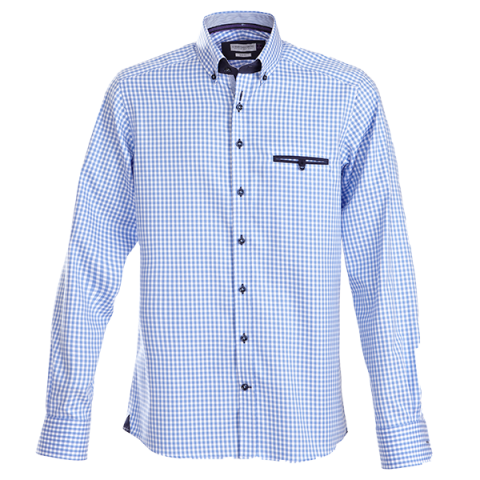 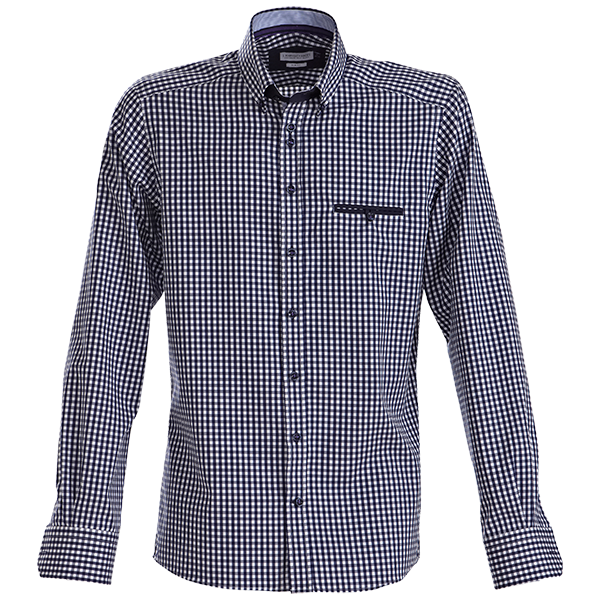 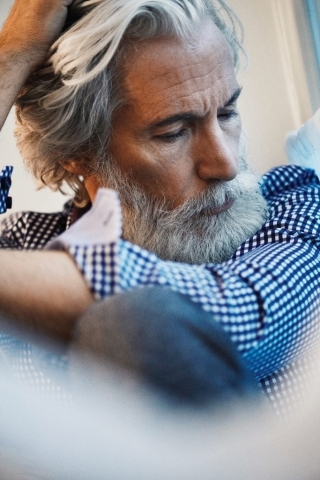 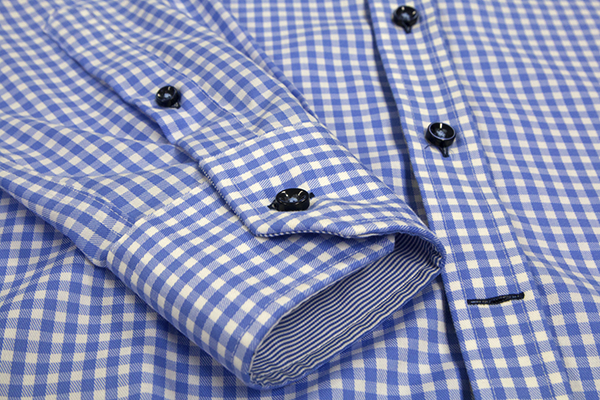 Mens’ modern non-iron gingham shirt in the finest twill texture. 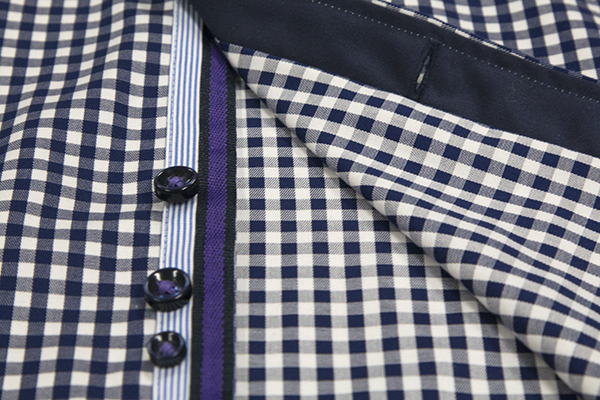 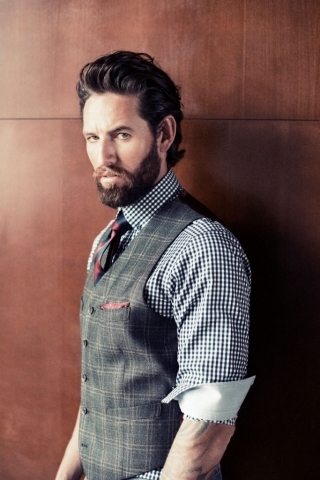 Soft button down collar with taped main seams, split back yoke, raised placket and curved hem. 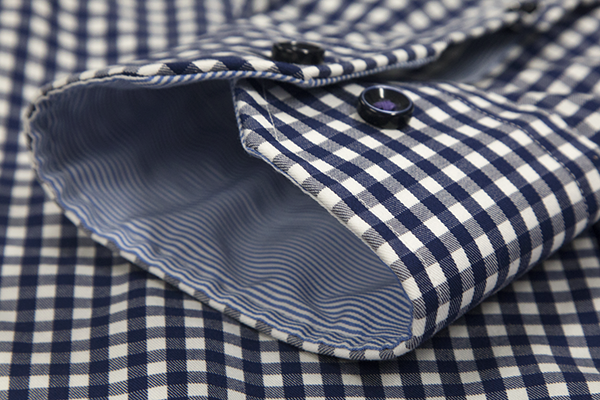 Piped chest pocket with matching handkerchief. 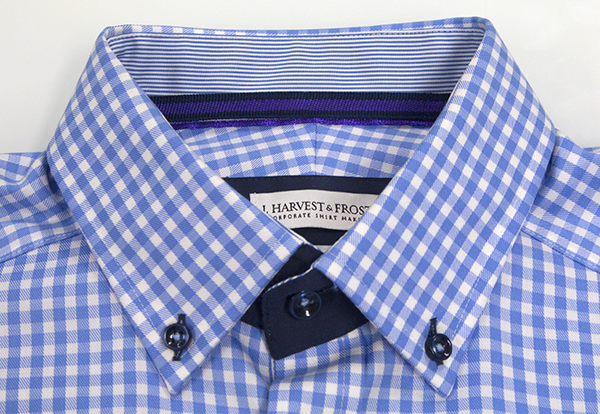 The Purple Bow 41 in Sky Blue features navy buttons and contrasting blue and white stripe at cuffs, inside collar and placket. 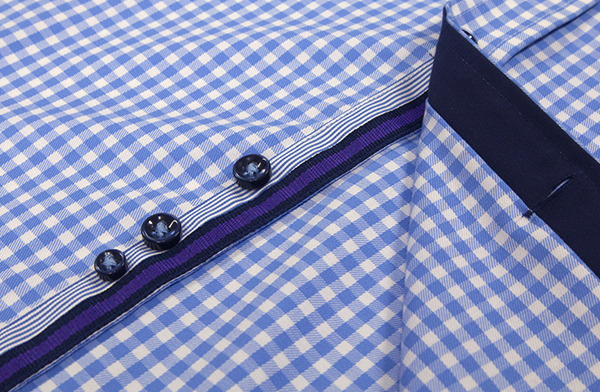 The Purple Bow 41 in Navy features navy buttons and contrasting blue and white stripe at cuffs, inside collar and placket.